As the football comes to a end and the water slowly warms up it is time for our seasonal trailer boat owners to return. A reminder to please book in an appointment time to return your boat at least 48 hours in advance and if you are late or unable to make it please call the office. Payment for minimum 1 months storage and deposit for access card (if required). 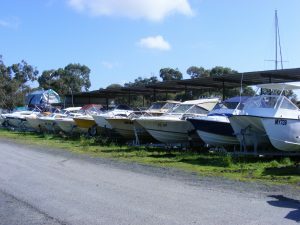 We do fill up quickly each season so the earlier you bring your boat into storage the better; you don’t want to miss out!